IN modern marketing, lead generation is absolutely integral to the success of almost any marketing strategy. Useful for all types of businesses, this process helps with achieving multiple company goals, including raising brand awareness, initiating connections and eventually increasing sales. But, first things first: a lead is anyone who may have indicated interest in your company’s product or service in some way, shape, or form. And, lead generation refers to the process of attracting leads and converting those leads into customers. This process is all about building relationships, establishing trust, and creating value. There are a number of ways to achieve these results, so let’s take a look. This one may seem obvious, but it is important to note none-the-less: a website is a hugely effective place to generate leads. With any lead generation strategy, much of your success depends on whether or not you are able to convert complete strangers into attentive viewers. This is why a well-designed, responsive website is so important. Think about a website as your official presentation to the world. Use it to boast the best of what you’ve got and entice viewers who are genuinely interested in learning more about your brand. That said- don’t have a site, just to have one. Design matters. Details matter. Ease of use matters. And – most importantly – credibility matters. Relationships are built on trust, and leads often become customers based on their perception of a brand or company. 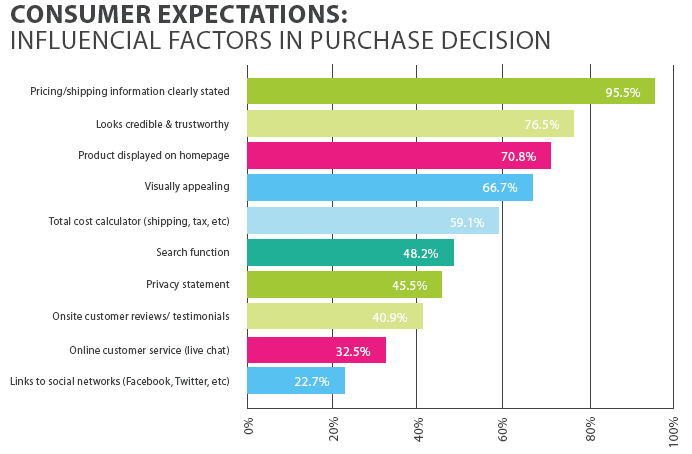 This chart from Oneupweb, weighs a variety of factors that influence online purchases. You’ll see that looking credible and trustworthy has a huge impact! Take home here? Put your best foot forward and be sure your site is reflecting the trustworthy, credible business that you are. Not fully swayed? Well, take a moment and review this article from Big Mouth Marketing that outlines 21 reasons why you NEED a website. Each one is short, sweet, and on-point. When it comes to lead generation, blogging is another commonly used strategy. 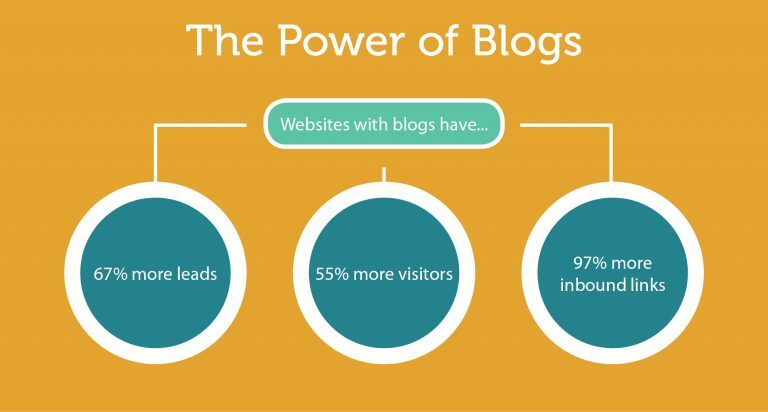 It is easy to see why, when reports show that websites with blogs generate 67% more leads (vs. those who don’t). Blogging is a great way to implement content marketing on a more palatable, friendly and somewhat casual level. It is a marketing tool, that doesn’t necessarily feel like marketing which is great when it comes to developing lead generation relationships. This strategy allows users to create and distribute valuable content to a target audience while driving customer action, such as commenting, sharing, downloading or sending an inquiry. Blogging helps you establish a connection with customers, by showing a deeper understanding of their needs. It also helps instill trust and display leadership by providing worthwhile content that fulfills those needs. Additionally, quality blogging helps with increasing the influence of your brand, social media shares and SEO. Blogging clearly boasts a diverse array of lead generation benefits, however, curating a blog requires time, effort and insight. And, as we’ve said before – don’t do something just to do it. Rather than creating content for the sake of it, or solely because of the lead generation potential involved, develop content that will really engage your prospective buyers. Plan an effective blogging strategy based on informed, plausible goals and don’t forget to optimize your blog! Social media is a highly influential component of internet marketing. In fact, with a 100% higher lead-to-close rate than outbound marketing, social media’s lead generation potential is definitely apparent. The main things to consider when using social media for lead generation? Establishing a connection with social media users, focusing on valuable content and creating strong call-to-actions. Regardless of the network or platform you use, or if you go organic vs paid reach, make sure you define a personalized approach, as social media is a two-way street. It isn’t enough to simply present your business online. You need to engage followers; encourage sharing, answer questions and recognize your top brand loyalists to see an increase in conversions. As you make progress, be sure you refine your social media strategy, evaluate the influence of particular networks, analyze what works best and what doesn’t, and find an approach that will be the most beneficial for your business. Although challenges with engagement and conversion rate may get in a way, remember that this is still a go-to strategy for lead generation. Paid traffic campaigns require much less time than blogging or social media and can bring great results to your company if the campaign is conducted properly. A paid campaign is generally based on encouraging visitors to take action after being directed to an effective and persuasive page. The success of paid traffic campaigns – and their lead generation potential – depends primarily on the quality of the landing page. We also have to highlight the importance of targeting the campaign. If traffic is targeted at online users who have shown previous interest in your niche, the lead generation rate is much higher, verses a campaign that targets online users in general. That said, sending a few emails now & then isn’t going to turn anyone on to your brand. Today, the average consumer sends and receives almost 94 emails per day! However, attention spans are getting shorter as the amount of content available is getting larger. Therefore, reaching customers through email marketing requires a personalized approach with quality content. The message in your emails should be relevant, personalized, trustworthy, informative and conversational. Emails that fulfill these criteria are also the ones that call to action, and thus help with lead generation. If you’re not familiar with content syndication, basically you create and publish your own valuable content. Then, because you know its quality content, you offer it up to be posted elsewhere as well. Giving one or more other people/companies/websites permission to publish your work allows you to capitalize on their audience too – growing your lead generation potential. 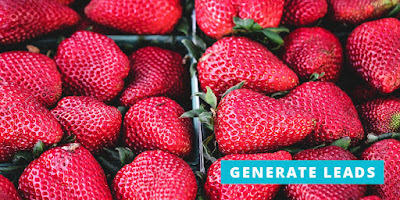 As Digital Current so clearly explained – syndication puts your name and ideas in front of more people, which builds your reputation — as well as more sales. Using these other publishing sources, you are able to expand your influence and target the users you might not be able to reach any other way. With content syndication you should definitely learn more about the process before jumping right in. Know how to syndicate safely, make sure you’re credited for your work, and even try a mid-stage content approach, i.e. providing a snippet of the content, and encourage users to sign up or fill in a form to get full access. This way you are most likely to reach the users who are already interested in your business, therefore ensuring you generate quality leads. As you can see, many different channels are effective in the lead generation process. 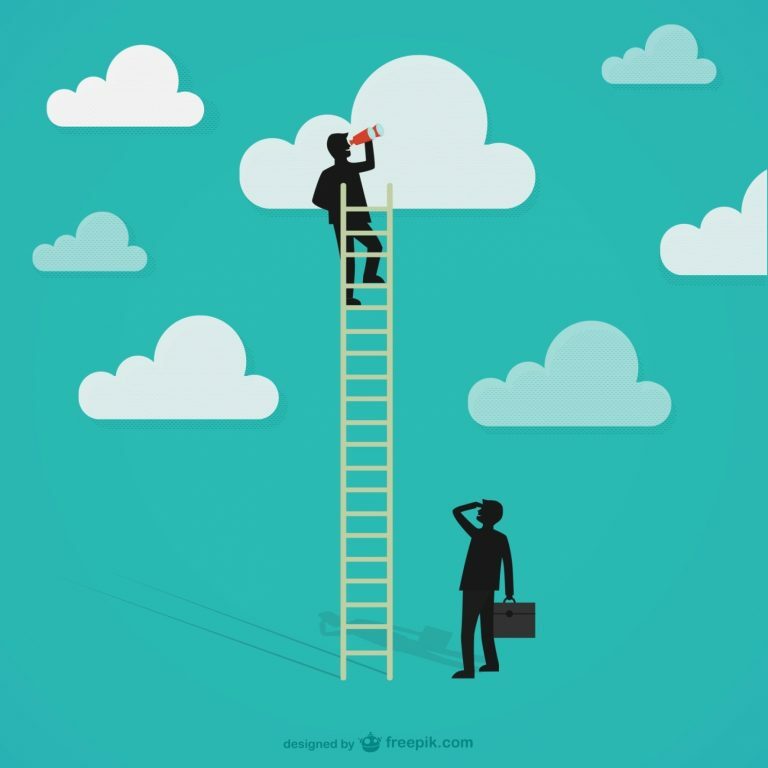 While it is important to find the strategy that works best for your business, these also integrate well into a comprehensive marketing plan. For example- email marketing combined with social media channels covers up to more than 50% of the market segment. And twitter users are more likely to visit a company’s website after seeing a tweet from the company! When it comes down to it, using a variety of strategies together may be the best way to maximize the effects of your content and capitalize on the most effective components of each lead generation tactic. Using them in conjunction will allow you to optimize your lead generation strategy reaching online users of almost any kind, and bringing them one step closer to becoming a customer. Over to you – which strategy are you currently using, and which new idea peaked your interest? Is there a strategy you’ve found really stellar results with? Let us know!